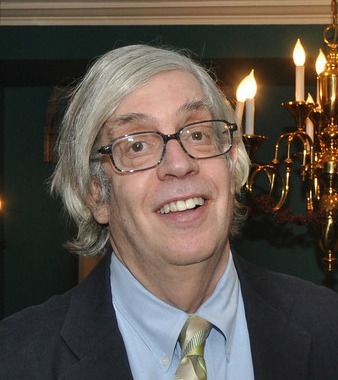 Mike Nash, the director of New York University’s Tamiment Library, Robert F. Wagner Labor Archives and ALBA board member, died unexpectedly on July 24. He was 66. A well known and accomplished archivist and historian, he came to NYU in 2002 from the Hagley Museum and Library, after working at Cornell University and the New York Public Library. Behind Mike’s disheveled appearance and self-effacing demeanor loomed a wealth of knowledge, energy, and vision. In his 10 years on the 10th floor of the Bobst Library, Mike was instrumental in the acquisition and cataloguing of several major collections. He led processing of the Abraham Lincoln Brigade collection, which was transferred from Brandeis University in 2000, and oversaw the acquisition of the Moscow microfilm of the personnel records of the International Brigades. Under Mike’s directorship, the ALBA collection saw a significant expansion and became the most frequently consulted at the Tamiment Library. Along with ALBA’s Peter N. Carroll, James D. Fernández, Mel Small, and Sebastiaan Faber, he edited and curated several books and exhibits, including The Good Fight Continues: World War II Letters from the Abraham Lincoln Brigade (NYU Press, 2006), and photography shows on Walter Rosenblum and Agustí Centelles. He was author of Conflict and Accommodation: Coal Miners, Steel Workers and Socialism and co-editor of Red Activists and Black Freedom: James and Esther Jackson and the Long Civil Rights Revolution. Among the many other major collections that Mike brought to Tamiment were the archives of the US Communist Party and the Daily Worker, the National Lawyers’ guild, and the papers of Philip Agee and Howard Zinn. Mike was also founding co-director of the Center for the United States and the Cold War and founding co-director of the Frederic Ewen Center for Academic Freedom. Mike always enjoyed telling the story of how, when appearing before the Vietnam draft board, he was asked if he had ever been a member of a long list of subversive organizations, including the Abraham Lincoln Brigade. Like virtually all of the young men whose eligibility for the draft was being judged in the late 1960s, Mike had been born long after the end of the Spanish Civil War. “Are you kidding?” asked Mike. The no-nonsense drafter responded: “No, we don’t kid about anything here.” To which Mike replied, “OK, yeah, put me down for that one. I was a member of the Abraham Lincoln Brigade.” He wasn’t drafted. Mike did his undergraduate and doctoral work at the State University of New York (SUNY), Binghamton and also earned Master of Arts degrees from Columbia University. The academic community concerned with the history of progressive movements has lost a great friend and colleague. He will be sorely missed. A wonderful tribute to someone who touched everyone who knew him positively. for nearly forty years, he literally fought the Good Fight in different times and under different conditions with integrity and courage. P.S. I have no personal anecdote about the draft and the brigade, but in my research over the years into the history of anti-Communist, anti-left ideology and policy and came across this wonderful juxtaposition of a picture of Franco, fawning over Hitler as they met and twenty years later Franco fawning over his new friend, Eisenhower as the U.S. embraced and prettied up the Spanish fascist regime at a time that Veterans and supporters of the Brigade, premier “premature anti-fascists,” continued to face all sorts of harassment. Un emotivo recuerdo a la figura del profesor Nash al que pude visitar en mi viaje a Nueva York el año pasado, mis sincero pésame a su familia y colegas de la NYU, la memomria nunca muere.